He Advocates “Nudges” For Efficient Litigation Given That 40% Of I/C Judges’ Cases Involve Pro-Plaintiff Prevailing Party Statutes; He Also Advocates A Meet And Confer Requirement For Motions To Tax Costs. Volume of Fee and Tax Costs Motions – FEES: in 2014, he had 25 motions, in 2017, he had 11 motions, and in 2018, he had 20 motions; MOTION TO TAX COSTS: in 2014, he had 12 motions, in 2017, he had 11 motions, and in 2018, he had 19 motions. LASC Judge Getting More Research Help – In 2019, LASC will provide every IC judge with an assigned research attorney for law and motion matters, rather than the past one research attorney per two judge allocation. However, These Same Departments Are Taking Steps To Assimilate More Services In-House, Including Increased Expenses On Artificial Intelligence Technology. Corporate law departments were shifting investment into in-house resources, with some upward emphasis on implementation of artificial intelligence technology. Ninth Circuit Has Not Taken Action Yet. As reported by Jeff McDonald in a November 15, 2018 post in a local San Diego newspaper, the California Public Utilities Commission is asking the Ninth Circuit Court of Appeals to not dismiss an appeal contesting a settlement reached between certain parties contesting the amount that consumers should bear in the San Onofre closure costs. In that settlement, the suing parties’ firm of Aguirre & Severson received attorney’s fees of $5.4 million, allegedly less than 1% of the savings that consumers would realize under the settlement. PUC and another watchdog group claims that the settlement was improper and that the fee recovery was unfair also. The Ninth Circuit has not yet ruled on the motion. Texas Anti-SLAPP Motion Is The Basis For The Fee Recovery. We can tell you that U.S. District Judge S. James Otero of the Central District of California decided to grant an anti-SLAPP motion in favor of now President Donald Trump in the defamation case brought against him by Stormy Daniels. He primarily found that the alleged tweets by Mr. Trump were rhetorical hyperbole protected under the First Amendment. Here is a link to his decision. The problem was that he granted a motion to dismiss under Texas’ anti-SLAPP statute, which similar to California’s statute, has a fee recovery provision for successful defendants. We can now report that Mr. Trump has filed a fees motion seeking about $342,000 from Ms. Daniels based on his win. This Amount Was Reduction From $20 Million In Fees Expended And A Slice From The EAJA Lodestar Of $4.515 Million. Who says that class actions cannot have some happy endings in terms of the fee recoveries being reduced responsibly in public interest cases? The fee recovery result in Vietnam Veterans of America v. CIA, Case No. CV-09-0037-CW (N.D. Cal. Oct. 4, 2018 Order Approving Parties’ Stipulation On Fees) shows that this can occur where the parties are willing to engage realistically with each other. The case was a class action on behalf of Vietnam veterans who served as human test subjects for government-conducted chemical and biological weapons experiments. Plaintiffs prevailed ultimately, with the Army ordered to provide notice and medical care treatment to class members. Plaintiffs were represented by the San Francisco powerhouse firm of Morrison & Foerster LLP. Plaintiffs were entitled to fee recovery under the Equal Access to Justice Act (EAJA), but the hourly rates in such cases are much lower than MoFo’s published rates. However, the parties did something very smart here. They met and negotiated a lower fee recovery. MoFo had expended about $20 million in fees over nine years of contentious litigation, with the EAJA lodestar based on lower rates coming to $4.515 million. However, the parties stipulated that the class would recover $3.4 million, with MoFo “writing off” the balance of actual fees expended. Needless to say, U.S. District Judge Claudia Wilken of the Northern District of California had no problem approving the stipulation and making it the order of the court. NALFA and LAW360 Dub The Results As Surprising. Clio, a Canadian company that provides cloud-based practice management for firms, has presented a recent Legal Trends Report released Thursday last week with some very interesting findings, which some websites (NALFA and Law36) find to be surprising—as do we. Based on a survey of 70,000 legal professionals (many being Clio clients) which are solo practitioners or middle-market firms of about 200 lawyers, Clio reported that the average utilization rate for reporting legal professionals was only 30%, which is 2.4 hours of billable hours each workday. As we interpret these findings, that means that many lawyers only bill 30% of their total time in a day directly to clients. It also found that lawyers invoice clients for only 1.9 hours during an eight-hour workday and collect only 1.6 hours of that time. So where did the rest of the time go? Clio reported that lawyers spend their time on billing/financial matters, marketing/business development, as well as firm organization/administration. 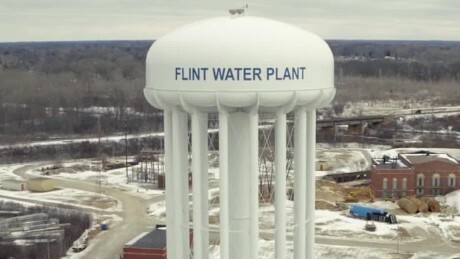 As reported by Crain’s Detroit Business in a September 2, 2018 post, the State of Michigan already has spent $26.5 million in fees paid to private law firms in civil and criminal cases arising out of the Flint, Michigan water crisis. If some “pipeline” work is included, that total may soon soar to $34.5 million. She Awards 27% Of The Percentage Of Recovery, Lower Than What Class Counsel Wanted But Better Than The Fee Reduction Suggested By A Special Master. In past posts (February 9, 2018 and April 28, 2018 ), we did describe U.S. District Judge Lucy Koh’s frustration with the fee submissions by class counsel in the Anthem Data Breach class action pending in the Northern District of California. She did not like the “piling on” of attorneys and appointed a special master. Class counsel wanted a $38 million fee award based on a $115 million settlement. The special master suggested slashing the fee request by about $9 million, down to $29 million. U.S. District Judge Lucy Koh finally came to a recent decision. She awarded $31.05 million in fees, finding the results in the case were exceptional and deciding that a 27% percentage of recovery benchmark was appropriate for the case. However, she was disturbed by the excessive fee submissions by multiple counsel, slashing 13% from time spent on depositions and settlement discussion work by multiple parties. She also struggled with class counsel’s request for a $360 general hourly rate for contract attorneys. The special master had suggested a $156 hourly rate, but she settled on a $240 hourly rate. Reduction Was Due To Inflated Hourly Rates And Failure To Provide Breakdown Of Fees. Although we are going by public reports of this decision, it is a reminder to be candid in fee submissions and follow a court’s directives to provide allocations/breakdown of fees in fee petition/motion proceedings. Catholic Benefits Association LCA v. Hargan, Case No. 5:14-cv-00685-R (W.D. Okla. Aug. 15, 2018) involved a case where a coalition of Catholic employers challenged a government’s contraceptive mandate under the Patient Protection and Affordable Care Act (ACA) as violating the Religious Freedom Restoration Act. Plaintiffs won a permanent injunction, then sought to recover their attorney’s fees in a request for around $3.1 million. U.S. District Judge David L. Russell granted the request in part, slashing over 75% from the fee request. The principal reasons were that the hourly rate requested was inflated by one of the major law firms on the case and counsel resisted efforts by the court to clarify allocations/breakdown in fees—rulings which should be a cautionary lesson for all fee claimants, whether in federal or state courts. Four Florida Judges Relieved That The Final Chapter Has Come To A Close. This next story is truly a saga stemming out of the Florida “Engle progeny litigation,” as reported in a July 25, 2018 Reuters post by Alison Frankel which we now summarize. The Engle progeny litigation stemmed from a long-ago Florida class action against tobacco companies for smoking-related ailments, where the Florida Supreme Court decertified a class but gave individual plaintiffs one year to file their own suits in which they would have to prove the tobacco industry’s negligence and cigarette’s carcinogenicity. This spawned the Engle progeny suits filed in both Florida federal and state courts. The Wilner Firm filed about 3,700 Engle progeny suits, with Farah & Farah firm co-counseling on about 160 of them. Two other firms were involved in federal Engle progency class action litigation with Wilner and Farah. But there was a major problem. Four Florida federal judges presiding over the matters found that 1,250 cases filed by Wilner and Farah were frivolous, another 15 cases were never authorized by plaintiffs (one of whom attended jury duty in another tobacco personal injury case and said she had told plaintiffs’ attorneys years ago that she didn’t want to sue), 28 plaintiffs had resolved their claims by the time that suits were filed anyway, 36 plaintiffs did not live in Florida, 18 didn’t smoke, and 588 cases were filed after plaintiffs died. Eventually, Wilner and Farah (but not the other two participating firms in the class action) were sanctioned $9.2 million for the frivolous suits, which was ordered to be transferred to the court from a $45 million fee settlement fund for the federal Engle progeny class action litigation in which a total settlement of $100 million was reached. After Wilner and Farah objected to the sanctions order, as well as battled with other counsel on how to split the fee fund, Wilner and Farah reached a settlement through the efforts of U.S. Magistrate Judge Anthony Porcelli, a settlement endorsed also by the other two firms. However, there is a big contingency—the federal courts had to cut the $9.2 sanctions award to $4.3 million and return the remaining $4.8 million to the fee settlement fund. Thankfully, this settlement recently was approved such that the net result is this: Wilner and Farah “walk away” with only $4.3 million in fees ($8.6 million was their share of the negotiated fees in the settlement, minus the $4.3 million in sanctions—even though they expected to receive $15.7 million in fees except for the complications), they effectively pay $4.3 million in sanctions, and the reduced sanctions amount of $4.8 million—which was held by the court—went back to the settlement fund to be divided by the non-sanctioned firms. Seventh Circuit So Decides, Also Resolving Appealability Issue And Rejecting That An Objector Should Be Awarded Fees. In Birchmeier v. Caribbean Cruise Line, Inc., Nos. 17-1626 et al. (7th Cir. July 24, 2018) (published), the Seventh Circuit was reviewing the propriety of awarding class counsel fees on a “sliding scale” approach by which it received payments depending on the tranches of money paid into the settlement fund, namely, 36% of the first $10 million, 30% of the next $10 million, 24% of the next $36 million, and 18% of any additional recovery after the settlement had a cy pres recipient feature. The class action case involved Telephone Consumer Protection Act vicarious liability theories against Caribbean Cruise Line and affiliates, arguing they were vicariously liable for directing calls—a much riskier case with regard to proof. A settlement was reached by which a settlement fund of $56 – 76 million was agreed to be created, complete with a cy pres feature for left over money, such that each claimant was estimated to receive $400 for receiving calls indicating each claimant had a chance for a free cruise If he/she participated in political surveys. The district court approved the settlement, with one objector appealing. The Seventh Circuit first faced a jurisdictional issue and found that the fee award was appealable because it set forth a formula for calculating fees such that there was an indicia of finality. The fee award was bigger than awards in other suits, but it was not too big based on the riskier undertaking by class counsel on the vicarious liability theory of recovery. The tiered fee payment pyramid was just fine, because it came to the same result as a percentage award based on other settlement fund estimates. In Circuit Judge Easterbrook’s colorful retort: “Bands and percentage can be juggled, but, unless the bottom line changes, what’s the point? … What got multiplied with what else to produce a market-approximating outcome does not matter.” Objector wanted fees for proposing the tiered payment system, but that was rejected because the proposal did not add marginal value to the litigation given that class counsel discussed such an approach in its fees motion and the district court could consider that possibility independently. Factual Reasonableness Was Conceded By Defense, And Legal Issue Was Novel Such That Fee Recovery Was Unwarranted. Although we generally post on California cases, readers will notice that we do post on non-California federal cases of interest. Here is one of these cases emanating from the Seventh Circuit Court of Appeals (a federal appellate court). In Equal Employment Opportunity Commission (EEOC) v. CVS Pharmacy, Inc., No. 17-1828 (7th Cir. June 8, 2018) (published), EEOC lost a summary judgment—affirmed on the merits in an earlier appeal—on a case alleging that CVS was using a severance agreement to chill its employees’ exercise of Civil Rights Act rights. To say the least, even the defense said during the litigation that novel issues were involved. The district judge found the factual basis for the suit was righteous, although awarding CVS $307,902.30 in fees against EEOC on the basis there was a lack of legitimate legal foundation for the suit. The Seventh Circuit reversed. No one disputed that a prevailing party under 42 U.S.C. § 2000e-5(k) was entitled to an award of fees although fees to prevailing defendants (like CVS) are only awarded in exceptional cases. The principal reason for reversal was that the case was novel, of first impression, and not squarely adjudicated based on unambiguous precedent—in a word, it was not legally frivolous in nature. Also, the defense spent a lot of resources on the case and admitted the issues were indeed novel and involved a “deep understanding” of the Civil Rights Act. Based on the totality of the record, this one was reversed, although we understand that the defense is seeking a rehearing. District Judge Did Not Have To Adopt Reasonable Fee Award Position Of The Defense, But Could Reduce The Request Even More. An E.D. Pennsylvania district judge awarded relator $1,794,427.27 in fees instead. From an overall perspective he was disturbed by a lot of mud being thrown and unprofessional conduct along the way in the fee proceeding, observing at some point that “[i]t is a hellish judicial duty to review and resolve disputed attorneys’ fee petitions, particularly in cases, like this one, where the adversaries fan the flames at virtually every opportunity.” He also was concerned by the fact that relator increased his fee request by $1 million a year later after the parties were unable to compromise on the fee request after slow, ugly negotiations which were unproductive. The district judge did adopt hourly rates for Philadelphia venue work based on hourly rates published by Community Legal Services. He next reduced for excessive work, principally limiting compensation to one attorney questioning and one attorney attending at depositions, reducing claimed work on summary judgment and Daubert motions, and then further reducing the total after the prior reductions for an additional 10% due to a lack of success. We Thank NALFA For Providing Posts Which We Summarize. We thank the National Association of Legal Fee Analysis (NALFA) for posting on three matters, which we summarize in our own way, which will be of interest to our readers. College Athletes’ Fees/Costs Award in O’Bannon Class Action Against NCAA. In this case, former college football and basketball players brought a class action against the National Collegiate Athletic Association (NCAA), challenging the policy which banned players’ receipt of moneys for publicity rights as being a Sherman Act §1 restraint of trade. Eventually, players prevailed by obtaining permanent injunctive relief, although they did not win every issue in the case. The Ninth Circuit, in O’Bannon v. NCAA, No. 16-15803 (9th Cir. 2018) (unpublished; memorandum decision), affirmed an award of $40,794,245.09 in fees and $1,540,195.58 in costs to the athletes under an antitrust fee-shifting statute after finding that winning significant injunctive relief did warrant the award by the district judge. Manhattan Supreme Court Justice Blasts Exorbitant Fee Request in Untimely Dismissal Case. The ultimate award could have bought a nice ship with a lot of trimmings. IP Attorney Rates Are Released by S.D.N.Y. Judge, Showing They Are High Based on the Niche Practice Area. Finally, S.D.N.Y. District Judge Katherine Forrest released some billings in a genetic engineering patent dispute, Regeneron v. Merus, when deciding an attorney’s fees request. It showed that experienced intellectual property patent litigators billed between $463-663 per hour while very well-known, superstar patent attorneys billed between $1,350-1,750 per hour. District Judge Forrest did find reasonable hourly rates of $775-1,355 charged by the major winning attorneys who practiced through a big law firm. $900,000 In Attorney’s Fees/Costs And $330,000 In Statutory Damages Awarded In California When Base Dispute Was Over Around $300,000 In Licensing Fees. This post shows that it pays to pay one’s owed licensing fees when there is a fee-shifting section under a statute (in this case, the Copyright Act) or under a licensing agreement with a fees clause. Edwart Stolz, owner of several California FM radio station, learned this lesson the hard way in two federal suits in New York and California. As reported by Marsha Silva in a July 14, 2018 post at the “Digital Music News” website, the American Society of Composers, Authors & Publishers (ASCAP), which licenses the rights for radio stations (among others) to play songs in return for licensing fees to the underlying performers and writers, sued Mr. Stolz both in New York and California federal courts presumably for copyright infringement and breach of the licensing fee agreements. The base dispute involved a little under $300,000 in unpaid licensing fees. Recently, the New York court ordered him to pay $319,000 in licensing fees (presumably the base deliquency plus interest), while the California court ordered him to pay statutory copyright damages of $330,000 and attorney’s fees/costs of around $900,000, all totaling more than $1.5 million. Ouch! $198,000 Was The Mean Annual Compensation, And Most Attorneys Would Have Chosen A Law Career Again. The Martindale Legal Marketing Network, in 2018, has initiated its first annual Attorney Compensation Report which involved a survey of more than 7,800 U.S. attorneys across two dozen practice areas—concentrating on 6,902 full-time practitioners who were either solo practitioners or attorneys practicing in small law firms. The results were for 2017. With respect to annual compensation, the average annual full-time compensation on a mean basis was $198,000 and $140,000 on a median basis. Intellectual property attorneys did the best at $240,000 while immigration attorneys earned the least with an average of $131,000. However, compensation did increase in 2017 for 45% of the responding attorneys. As far as geography, Western region attorneys (California, Hawaii, and Alaska) earning the most, followed by the South Central (Texas, Oklahoma, and Arkansas). Most attorney compensation was provided through hourly billable services. Time with clients is diminishing, with less than 20 hours weekly being devoted to meeting with clients or representing them in court/other judicial bodies. Attorneys valued client relationships the most. 76% of surveyed attorneys would choose to the practice in the same areas of the law, and 73% said they would choose a law career again. Substantial Number Of Firms Say Pricing Is Key Client Concern, With Nearly 80% Believing That Non-Hourly Billing Is A Permanent Trend. Altman Weil, in its survey entitled “2018 Law Firms in Transition,” has some interesting statistics showing that law increasingly is a more volatile marketplace than in past years. Conducted in March – April 2018, the surveys obtained responses from managing partners and chairs at 398 U.S. firms with 50 or more lawyers, with 45% of the largest American law firms and 52% of the AmLaw 200 responding to the questions in the survey. The results were for the 2017 year. 85% indicated that they are talking with clients about pricing, with 89% believing that non-hourly billing is becoming a permanent trend. Fees Might Have Been Over $99,000 Sans The Settlement, With Federal Court Earlier Finding The Ban Violated The Equal Protection Clause Of The Fourteenth Amendment. A federal judge in March 2018 ruled that the Idaho law violated the equal protection clause of the 14th Amendment and also ordered the state to begin allowing such changes. Three other states do not allow similar changes to a birth certificate: Kansas, Ohio, and Tennessee. Nine Law Firms Involved In Handling Matters Relating To The Incident, But Settlement Recently Reached. Recent news articles report that Michigan State University’s legal costs relating to the Larry Nassar scandal—involving gymnasts—now top more $11.3 million, although this figure likely is higher because it did not capture bills for some months in 2018 which are still in the pipeline. Nine firms have been billing on the matter. Mr. Nassar himself is or will be serving the rest of his life in jail based on federal and state sentences. MSU has a rock painted to honor those coming forward in this scandal. Plaintiffs’ attorneys and the MSU legal team agreed to mediate, and the latest news is that MSU reached a settlement to pay $500 million to 332 alleged victims. Demand And Revenue Is Also Up. Citi Private Bank Law Firm Group's Q1 2018 Quarterly Flash Report, which provides an overview of current financial trends in the legal industry, based on data collected through our Quarterly Flash survey of 179 law firms (80 Am Law 100 firms, 47 Second Hundred firms and 52 niche/boutique firms), has found that demand, revenue, and billing rates are up for the first quarter of 2018. Specifically, it found that results from responding firms showed that billing rates rose 4.8%. County Settled With Sheriff’s Widow For $253,000, With Fee Award Greatly Eclipsing The Compensatory Compromise. As reported by The Modesto Bee and NALFA’s New Blog recently, Dennis Wallace was a sheriff’s deputy in Stanislaus County who was idled two years without pay. He sued Stanislaus County on discrimination claims, even though the suit had to be prosecuted by his widow after he was shot by a suspect when he returned to work as a sheriff later on. The County agreed to settle with the widow for $253,000 with no admission of wrongdoing. However, that did not end the issue. Given that FEHA has a pro-plaintiff fee shifting provision, a Central California judge ordered the County to pay nearly $1.4 million in fees to the widow’s attorneys—demonstrating how FEHA fee awards can exponentially eclipse a compensatory award or settlement to a prevailing plaintiff. Dispute Related To Long-Standing CEQA Dispute Resulting In Favorable California Supreme Court Decision To Conservancy. We received an email from John McClendon, a principal with Irvine’s Leibold McClendon & Mann, who was lead counsel in environmental group Banning Ranch Conservancy’s CEQA dispute with the City of Newport Beach and Newport Banning Ranch LLC over the adequacy of an EIR for a proposed development to be built on a 401-acre swath of coastal scrub and grasslands at Newport’s western edge after voters had earlier weighed in that it primarily should be open space. The litigation was hotly contested, with Banning Ranch Conservancy gaining a hard-fought victory before the California Supreme Court in Banning Ranch Conservancy v. City of Newport Beach, 2 Cal.5th 918 (2017). Mr. McClendon referred us to a Los Angeles Times article of March 29, 2018 indicating that a settlement had been reached between the parties by which the Conservancy will be paid $1.25 million in attorney’s fees (presumably based upon fee entitlement under California’s private attorney general statute) and will be involved in further discussions with the developer to effectuate a cleanup of the site (which had abandoned oil operations) and to make sure that environmental concerns adequately are addressed. We extend our congratulations to Mr. McClendon and his client. Unsuccessful Fraud Suit Arose Out of Beats’ $3.2 Billion Sale To Apple. This post actually is an update to the result reached in Monster, LLC v. Superior Court, 12 Cal.App.5th 1214 (2d Dist., Div. 7 June 21, 2017) [our No. 14 Top Decision of 2017, discussed in our recent December 24, 2017 post]. What happened here was that Beats Electronics, which did a $3.2 billion sale to Apple, was sued for fraud by Monster, with Beats bringing its own cross-claims for breach of contract (inclusive of a prayer for fees under two written agreements). Beats obtained summary judgment against Monster’s fraud claims, triggering adjudication of what fee recovery would come back to Beats given it had paid $7.9 million to Boies Schiller (its counsel) to beat the fraud claims. At a subsequent case management conference, Beats argued that Civil Code section 1717 required the court, rather than a jury, to determine the amount of attorney's fees it was entitled to recover as damages on its cross-claims. Petitioners, however, asserted that because Beats was seeking its attorney's fees as a form of contract damages, they were entitled to a jury trial on the issue. After receiving supplemental briefing, the court entered an order directing that the amount of Beats's attorney's fees be resolved through a noticed motion. Petitioners filed a petition for writ of mandate seeking an order directing the trial court to vacate its order, and enter a new order granting them a jury trial on the issue of attorney's fees. Just before Christmas, a jury returned a verdict in favor of Beats, requiring Monster to reimburse the $7.9 million in fees which it paid to Boies Schiller. HAT TIP to Richard Pearl. This post has been corrected to reflect the comments of Richard Pearl in our comment section below the post. Richard was Beats' expert at trial, and he is the author of the CEB treatise entitled, "California Attorney Fee Awards." This Is The Third Time California Was So Ranked Since 2012. According to an Editorial in the October 8, 2017 edition of The Orange County Register, California ranked 47th out of the 50 states in terms of overall fairness and reasonableness of its liability system based on a survey by the U.S. Chamber Institute for Legal Research of 1,321 in-house general counsel, senior litigators, or attorneys and other senior executives having recent litigation experience in the states they evaluated. This was the third time since 2012 that California received this ranking. It also ranked last in treatment of tort and contract litigation, 49th for quality of its appeal process, and 48th for treatment of class actions, according to the Editorial. The Chamber report further noted that 85% of the polled persons believed a state’s litigation environment is likely to impact business decisions (especially where to locate headquarters and plants). In addition, for three of the past five years, California has ranked number one in the annual “Judicial Hellholes” report by the American Tort Reform Foundation. Matters contributing to this ranking were consumer class actions, as well as CEQA and ADA suits. COMMENT: According to Wikipedia, "The Chamber has emerged as the largest lobbying organization in America. The Chamber's lobbying expenditures in 2015 were more than two-and-a-half times higher than the next highest spender: American Medical Association, at $23.9 million." The pro-business lobby generally supports Republican candidates, though it occasionally supports conservative Democrats. The Center for Justice & Democracy at New York Law School describes the American Tort Reform Association (which is affiliated to the Foundation) this way: "The American Tort Reform Association (ATRA) is a Washington-DC-based group that was formed in 1986 to represent hundreds of U.S. and foreign corporations in their bid to overhaul civil liability laws at the state and national levels. . . . ATRA's members are largely Fortune 500 companies with a direct financial stake in restricting lawsuits. . . . The tobacco industry has supported ATRA, directly through Philip Morris, and indirectly through Covington & Burling, the law firm for the now-defunct Tobacco Institute and other major tobacco companies. . . . Although sponsored by major industries, ATRA has worked hard to present a dramatically different public image of itself." Combined Fees/Costs In 2.0 And 3.0 Liter Class Actions Total $300 Million. On Friday, July 21, 2017, U.S. District Judge Charles R. Breyer of the N.D. of California federal district court approved an award of attorney’s fee and expenses to class counsel as part of the Volkswagen 3.0-liter excess emissions class action settlement. The award was $121 million in fees and $4 million in costs/expenses. District Judge Breyer found class counsel obtained an exceptional result, awarding averaged fees of $462 per hour but with partners’ rates ranging from $250 - $1,650 per hour. He found that the award was reasonable because it was only 13.4% of the class benefits. When one combines the $175 million in fees and costs awarded in the prior 2.0-liter emissions settlement, the aggregate payout has been $300 million, comprised of $288 million in fees and $12 million in costs. Tax Revenues Likely Insufficient And Insurance Coverage Looks Like It Will Be Disputed/Might Be Insufficient To Cover Total Loss. Joe Duggan who works in the Lincoln, Nebraska bureau of The World-Herald, wrote a recent post about a $28 million jury verdict which a Gage County, Nebraska federal jury awarded to the Beatrice Six and against Gage County for a deeply flawed investigation that sent six people to prison for a murder they did not commit. With additional fees, costs, and interest, the total tally against Gage County is now over $31 million. The problem for Gage County (a southeast Nebraska county of 22,000 residents), like many other governmental entities, is to locate the funds to pay for such a result, even though it has been appealed to Eighth Circuit Court of Appeals. Apparently, the County only collects $9 million in tax revenues each year, such that bankruptcy looms unless another source of payment can be obtained. Enter County’s potential insurance coverage. County has filed lawsuits against their insurers, even though primary provider the Nebraska Intergovernmental Risk Management Association, a quasi-governmental risk management pool created by the Nebraska Legislature in 1998 to provide insurance for counties and other governmental bodies, has denied coverage. The Association, in responding to the lawsuit against it, disputes the verdict/associated expenditures are covered losses. Even if there is coverage, Association claims that any coverage is capped to $5 million per occurrence, which means that County would only be made somewhat whole if the dollar limit occurred as to each of the six plaintiffs. Beyond that, the Association nets only $4.7 million in annual premiums and has a reserve fund of about $13.6 million, further complicating the financial conundrum faced by County. There is a second lawsuit against another carrier, which has also denied coverage and with the policy apparently only providing coverage of up to $1 million per occurrence with a $2 million aggregate limit. Quite a financial maze 1, right? 1Photo. 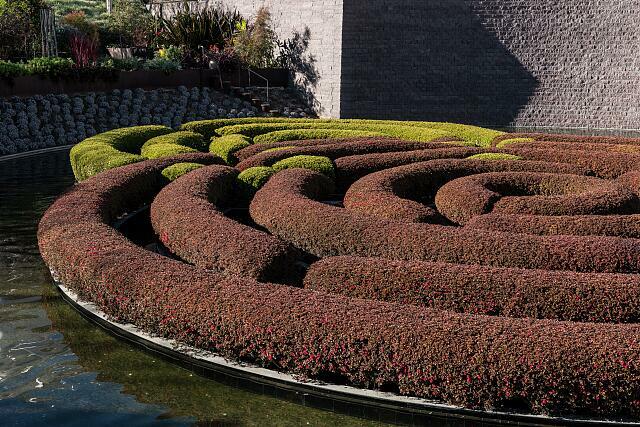 Hedge maze at the Getty Museum of Art, Los Angeles. Photo credit to Carol M. Highsmith. 2013. Library of Congress. Ames & Gough Did The Survey. Five of nine insurers polled pay hourly rates between $200 - $300, two others pay between $300 - $500 and two pay an average more than $550 per hour for defending malpractice attorneys. It appears that a copy of this survey may be obtained free of charge by emailing requests to info@amesgough.com, if requesting persons include their name, title, affiliation, and phone number and state “LPL Claims Survey 2017” in the subject line, all according to an Ames & Gough News Release dated June 28, 2017.